If you haven't started shopping yet, send one of these options right to their doorstep. Christmas is swiftly approaching (as is that shipping deadline), so if you still have a lot of gifts to check off your list, cue the panic. While you could haphazardly add items to your Amazon cart or brave the crowds at the mall in search of the perfect gifts, may we propose a stress-free alternative? A subscription box. It’s no wonder that subscription boxes are wildly popular — stuffed with goodies that arrive nicely packed on your doorstep, they’re a fun and easy way to discover new brands and sample a variety of products. And for friends and family, it makes an especially generous gift: a myriad of items tailored to their interests. Whether you opt for a one-off, or have a box delivered quarterly or even monthly, you’ll be sure to bring a smile to your loved one's face. No matter who’s on your list, there’s a subscription box that’s a perfect fit. Here are some of our favorites. This self care subscription box company was founded by a therapist whose mission was to inspire happier lives through practical, joy-boosting activities and products. Each box includes one self-care therapeutic activity, plus 5-7 full sized wellness products worth over $100 that promote relaxation, reduce stress and provide much needed "me" time. The best part: They are all hand picked by practicing therapists, and inspired by happiness research, in hopes of boosting your mood and promoting a positive outlook. Few things make a home feel more inviting than fresh flowers. (In fact, studies show that greenery in the home reduces stress and increases productivity.) Ensure your loved ones are never without blooms thanks to The Bouqs, a floral subscription service. Choose from weekly, bi-weekly, every month or every few months, with flowers either delivered fresh from a sustainable farm, or on the doorstep from an artisan florist, in as little as 2 hours. Meal kit delivery services have been the rage for years, thanks to their convenience and foolproof cooking methods — but not all kits are created equal. We love Green Chef — the first USDA-certified meal kit company — for their high-quality meat and produce: ingredients are organic, GMO-, pesticide-, antibiotic- and hormone-free. For those following special diets, Paleo, gluten-free, Keto and vegan plans are available, and users can pause, skip or cancel at any time. All packaging is also 100 percent compostable or recyclable, meaning meals are good for you and the environment. Sports fans will flip for these team-inspired gift baskets from FANCHEST, featuring licensed sports gear, accessories, merchandise, memorabilia, headwear and apparel. Boxes change every 3 months, and each chest includes a Golden Ticket featuring a chance to win signed memorabilia, tickets to games or VIP experiences. While not technically a subscription, BOXFOX offers up boxed options too good not to mention. Choose a theme, reason or season — everything from Christmas to birthdays to weddings to a new baby — and BOXFOX allows you a slew of giftable mix-n-match options such as champagne, beauty products, candles, chocolate, jewelry and more. For Christmas, we love the idea of customizing boxes for each recipient on your list, or for those in a time crunch, choose from a selection of thoughtfully pre-curated boxes for foolproof, no-brainer gifting. For the discerning dude, Gentleman’s Box provides a monthly selection featuring a hand-picked grooming item, accessory such as sunglasses or watch, a pair of attention-grabbing socks and a dapper tie. The subscription — with each box valued at over $100 — also comes with a year’s subscription to GQ magazine. Whether there is a newborn, toddler or big kid (up to 14 years old) on your gift list this year, they (and their parents) will be excited to use a gift card for Kidbox this year. Think of it as StitchFix for kids. The recipient will receive an e-mail with your special message on the day you choose, and take a quiz – sharing their personal style (from classic preppy to city cool), colors and style to avoid, their favorite stores to shop at and selecting sample outfits that their kid would love wearing – to help stylists curate a box uniquely for them. The box will then arrive on their doorstep filled with 6-7 name-brand items personally styled, which they can decide to keep or send back. And to make the deal gift even sweeter, for every full box kept, the company donates an outfit to a child in need. Whether you’re searching for a gift for your favorite hostess, or your mother-in-law who loves a good glass of vino, HelloFresh Wine Club takes the guesswork out of the overwhelming task of picking the perfect bottle off the shelf (plus makes drinking wine more fun!). Along with monthly shipments of six bottles — red, white or both — HelloFresh will provide pairing suggestions, tasting notes and a flavor profile for each wine. Deliveries can be paused, skipped, and even (if you change your mind) returned. Support artisans from around the world and let your loved ones enjoy boxes full of gorgeous fair trade products — each featuring an inspirational backstory — with GlobeIn. We especially love the Cozy Box, designed to promote mental wellbeing through a quiet night in, including a fair trade scarf from Thailand, Divine Chocolate cocoa powder from Ghana, Le Souk ceramic mug from Tunisia, and palm leaf basket from Mexico. For the busy workaholic with no time to shop or the husband who dreads stepping foot inside a mall, consider a clothing box subscription. 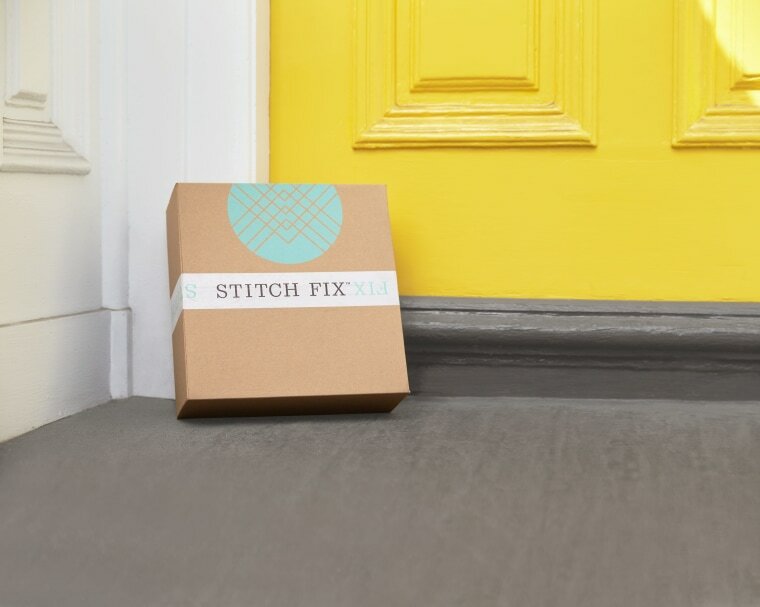 One of the most popular is Stitch Fix, beloved because of its highly personalized service. Featuring options for men and women, as well as maternity, plus-sized and petites, clients can receive Fixes automatically or schedule them on-demand, with a variety of styles to choose from for all budgets — plus free shipping and returns. Gift card values start at $20 (which will cover the styling fee for each fix and is then applied as credit toward purchases) and go all the way up to $1000. Studies show that meditation and prayer have both physiological benefits and can help us make better decisions. Help the stressed-out on your gift list take a break from the New Year craziness and engage in therapeutic mindfulness with calmbox, which includes items such as Yogi Calming Tea, lavender spray, Badger Sleep Balm and motivational books specially curated to help de-stress and relax. Encourage more quality time with Dad thanks to the Cooper & Kid box, designed for children and fathers to enjoy together. Each kit features 6-9 gender-neutral products and activities — think books, games, tools and toys — that promote family bonding. Boxes arrive once every three months and can be cancelled at any time. For the trendy, stylish and active women on your list there’s the FabFitFun box, allowing beauty junkies to add to their arsenal with more than $200 worth of full-sized products every three months. Plus, in addition to makeup, skincare and haircare, the boxes also include fashion accessories like scarves, ponchos, clutches and jewelry, and fitness and wellness items. Spice up a home-chefs life (and cooking!) with these freshly-ground quarterly spice sets from Raw Spice Bar, including six seasonal blends — everything from basics like taco seasoning and pumpkin pie spice to more exotic offerings such as Garam Masala and Shichimi Togarashi. Shipments are themed and come with recipe cards utilizing featured spices, so budding chefs can learn how to pair new flavors.